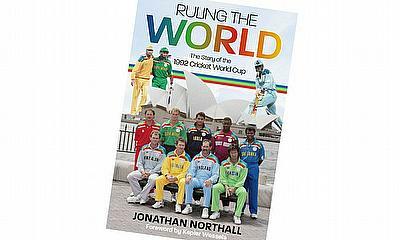 Ruling the World tells the enthralling story of the 1992 Cricket World Cup in Australia and New Zealand. From the early exchanges in the warm-up matches, up to the final at the Melbourne Cricket Ground, tales of classic stature and previously untold gems regularly arise. Each match is explored along with its unique backstory, with many key players contributing memories after more than a quarter of a century. Interviews with stars such as Derek Pringle, Phillip DeFreitas, Gladstone Small, Brian McMillan and Gavin Larsen help bring to life the greatest ever Cricket World Cup. Contributions from fans offer a unique insight into the high emotions in the stands as the tournament was played out. And exclusive behind-the-scenes access is granted by documents from the tournament’s organising committee, including minutes from meetings and reports presented to the International Cricket Council. Ruling the World brings all the drama and excitement of 1992 to a new generation of cricket fans and offers contemporary onlookers the chance to fondly reminisce.